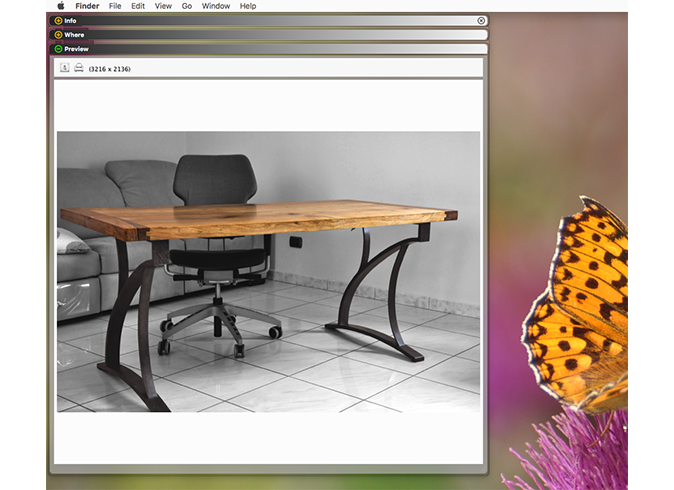 MacGizmo allows you to see the content and other useful information of an item with one click, directly from the Finder. 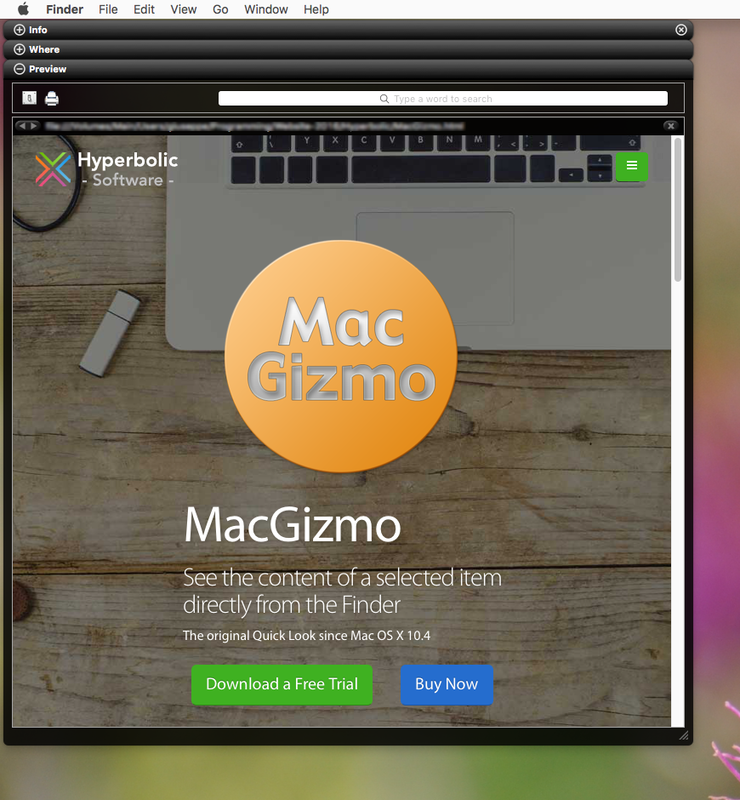 MacGizmo is an application that allows you to see the content and other useful information of any selected items in the Finder and of other participating softwares. 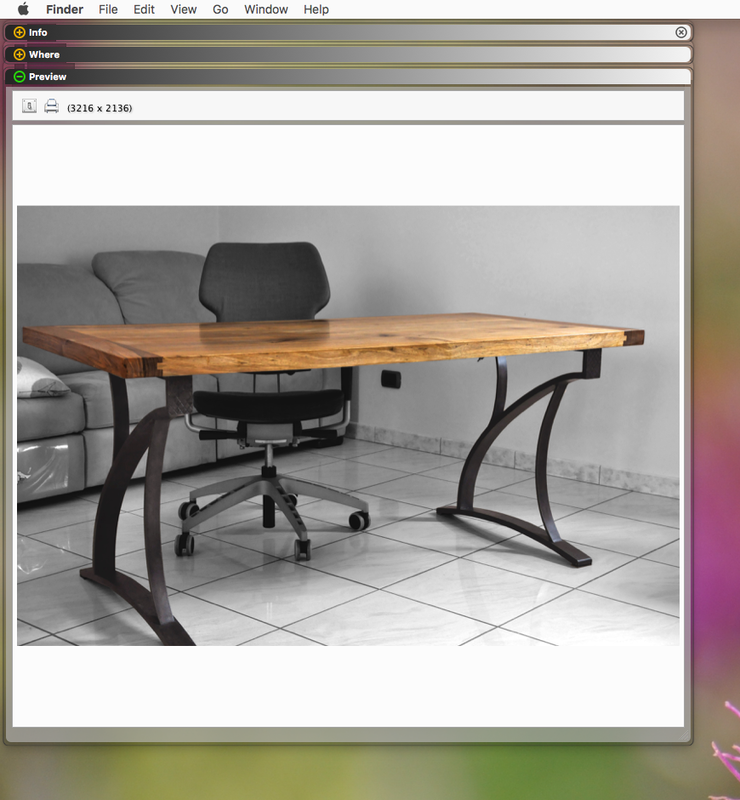 It is very easy to use: select an item and see its content. 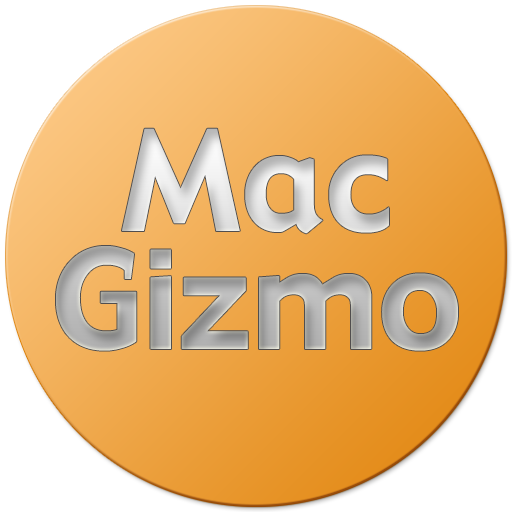 MacGizmo currently fully supports most of the common kinds of items that populate a disk such as images, sounds, music, video, text, pdfs, web files, fonts, folders, applications and many more. 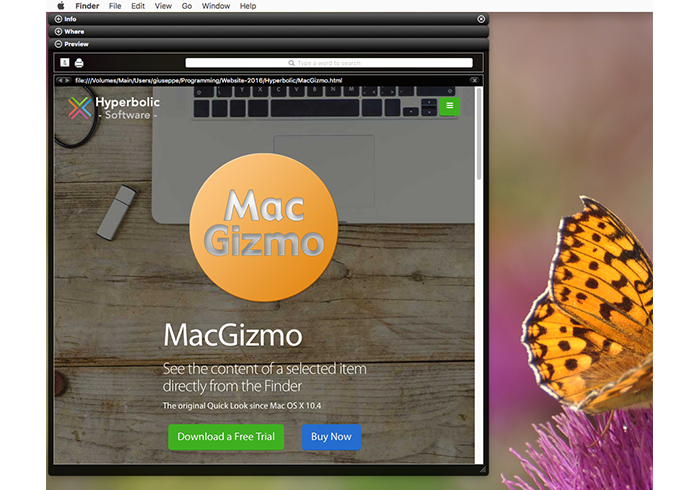 MacGizmo does not just provide a preview; it also allows you to navigate as a web browser, have full access to pdf and text files, read softwares' help files and the recent items opened by an application simply by selecting it; hear music, see videos and, where applicable, print and search content. Added a button in the main window that allows the application to be put to sleep. Fixed a bug that caused crashes when certain types of files were selected. © 1996-2018 Hyperbolic Software. All Rights Reserved.